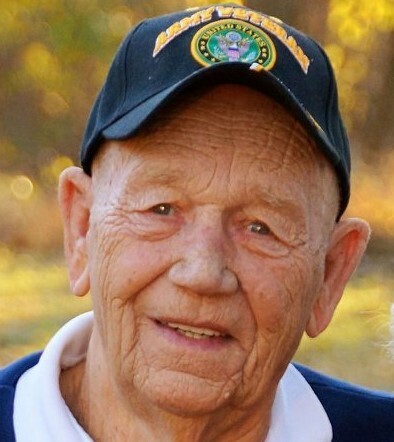 Wilburn Dean Stanphill, age 80 years, was joyously welcomed into the Gates of Heaven, February 2, 2019, with his loving family surrounding him. Dean was born February 8, 1938 in Hindsville, Arkansas to Orval Stanphill and Wilma (Shepherd) Stanphill. Sometime around 1954, while the Stanphill family was living in Wichita, Kansas, Dean was told there was a "pretty lil gal" that attended the Bridgeport Missionary Baptist church. Curiousity got the best of him, he went to church, and that's where he met the love of his life, Janet Coeta Hughes. She was 13, and he was 15. Two years later, they were united in marraige on February 4, 1956, at the home of her parents - Jess and Lagretta Hughes. Dean served and received an Honorable Discharge from the Kansas National Guard from January 7, 1957 to May 30, 1960. Dean & Janet moved to Ontario, California in 1960 to pursue his trade of the Carpet & Tile Flooring business, with his father-in-law, Jess Hughes. While there, he enlisted with the California National Guard in April of 1961. On December 6th, 1961, he surrendered to Preach the Gospel at the Landmark Missionary Baptist Church of Ontario, CA. He was Honorably Discharged from the California National Guard in December 1962, shortly after the birth of their first daughter, Ronda. In July of 1963, his call of the ministry led them to start a mission in Pedley, Ca. Soon after the birth of their second daughter, Janna, they moved back to Arkansas to raise their family. Dean pastored the Southern Baptist Church in Kingston, then became the MFA Insurance agent in Huntsville. The Huntsville chapter of Kiwanis was incorporated in 1975, with Dean chosen as the first president. In 1977, he re-enlisted with the Arkansas Army National Guard, 142nd Field Artillery Battalion in Berryville, AR. In November 1990, his unit was ordered to Active Duty to serve in Operation Desert Shield. He spent 8 more years before his retirement in 1998. During his retirement years, Dean remained a faithful servant to the Lord. He was instrumental in the building of the new church, and continued to teach and bring lost lives to Christ. His humble prayers, and bass voice will be missed..... along with a hearty "AMEN". His greatest joy was time spent with family..... especially his grandchildren, whom he loved dearly. Dean leaves behind his beloved wife, Janet, of the home. Daughter Ronda, and husband Hank Griffin of Harrison, AR, Daughter Janna, and husband Jeff Boyd of Huntsville. Four grandchildren, Trenton Long of Branson, MO, Jeffery Alan & wife Linden Boyd, of Cave Springs, AR, Lacy Fears & fiance' Thomas Cox, of Branson, MO, and Cassidy & husband Dylan Allen of Green Forest, AR. Five great-grandchildren - Colton & Addyson Long, Laney & Landree Fears, and Daylan Allen. Three sisters - Peggy Williamson of Shell Knob, MO, Linda Welton of Eagle Rock, MO, and Shirley Anderson & husband Rob, of Glendale CA. Two sisters-in-law, Renee Ditmore & husband, Gary of Huntsville, & Loretta Price of Springdale. He also leaves many nieces, nephews, cousins, and his 4 legged best friend, Samson. He was preceded in death by his parents, Orval and Wilma Stanphill of Wharton Creek. The family wishes to thank the Circle of Life Hospice, and especially the loving care & kindness Kathy provided to our loved one. A Celebration of Life will be Friday, February 15, 2019 at the Huntsville Missionary Baptist Church, 5602 Hwy 412B, Huntsville, AR, 72740. A luncheon will be provided to family and friends at 12:00, with the Service following at 2:00 pm. In lieu of flowers, the family requests memorial donations to the Huntsville Missionary Baptist Church in Brother Dean's name. Funeral services are under the direction of Madison County Funeral Service of Huntsville. Please visit www.madisoncountyfuneralservice.com to leave the family an online condolence.